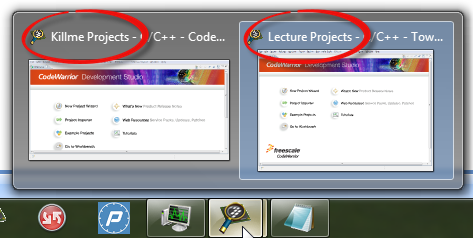 If I have multiple IDE’s open, it is hard to tell which workspace is used in which window,. 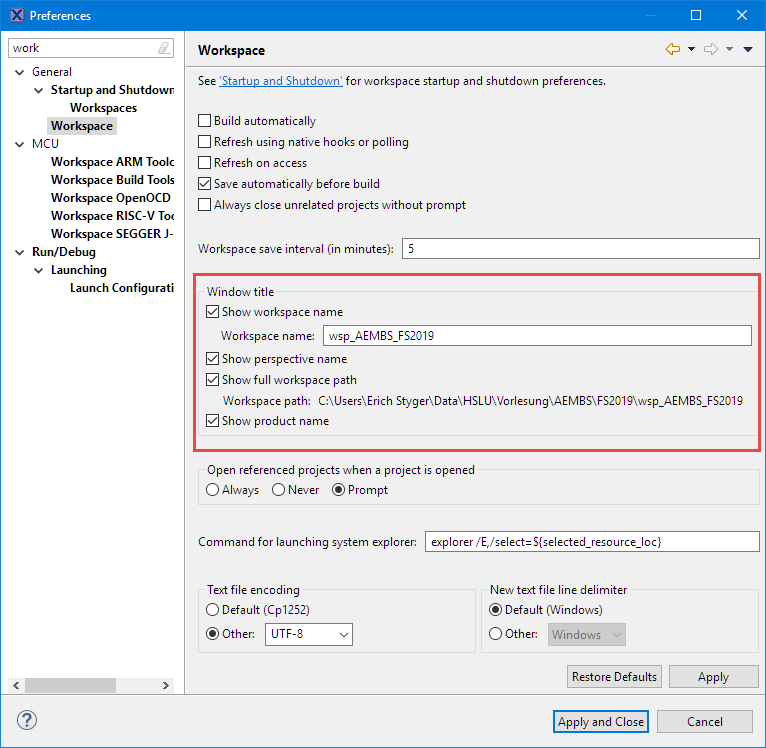 This entry was posted in Eclipse, Tips & Tricks, Tutorial and tagged Eclipse, technology, Tips&Tricks, Workspace by Erich Styger. Bookmark the permalink. That is very useful. I am always going to properties of the project to find out where the project is located. I often pull older versions out of the repository and build them to check changes and usng the properties function is laborious and irritating; your method is a much better way. Thank you. The hint to show the full path is very helpful. But I was not able to find it as described. 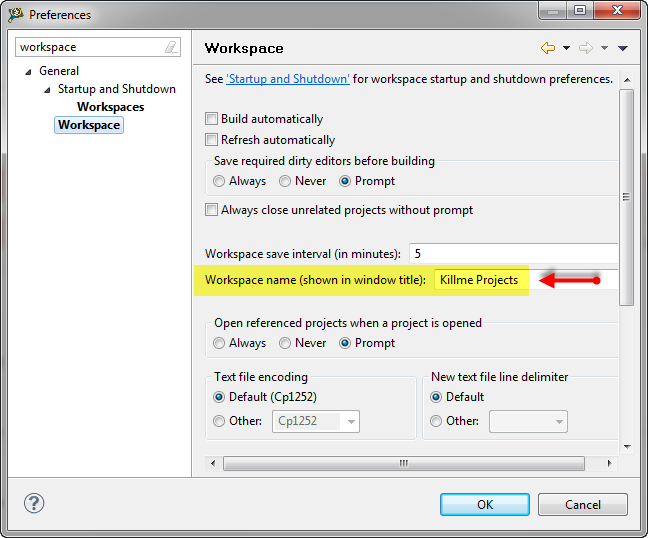 Instead in my current Eclipse installation (Version: 2018-12 (4.10.0)), I found it under Window –> Preferences –> Workspace : “show full workspace path”. Thank you! I did not realize that these settings have been added later on. Great tip! 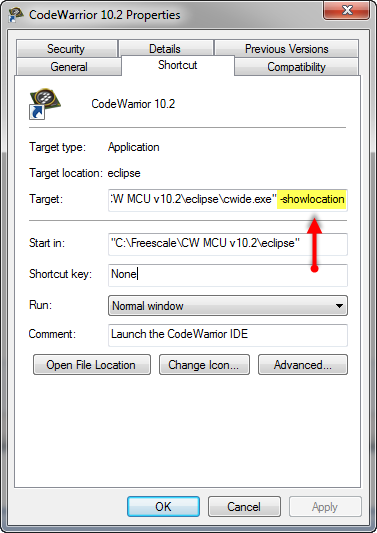 The -showlocation still works, but in that case it is not possible to have ‘full path’ enabled in the workspace settings.